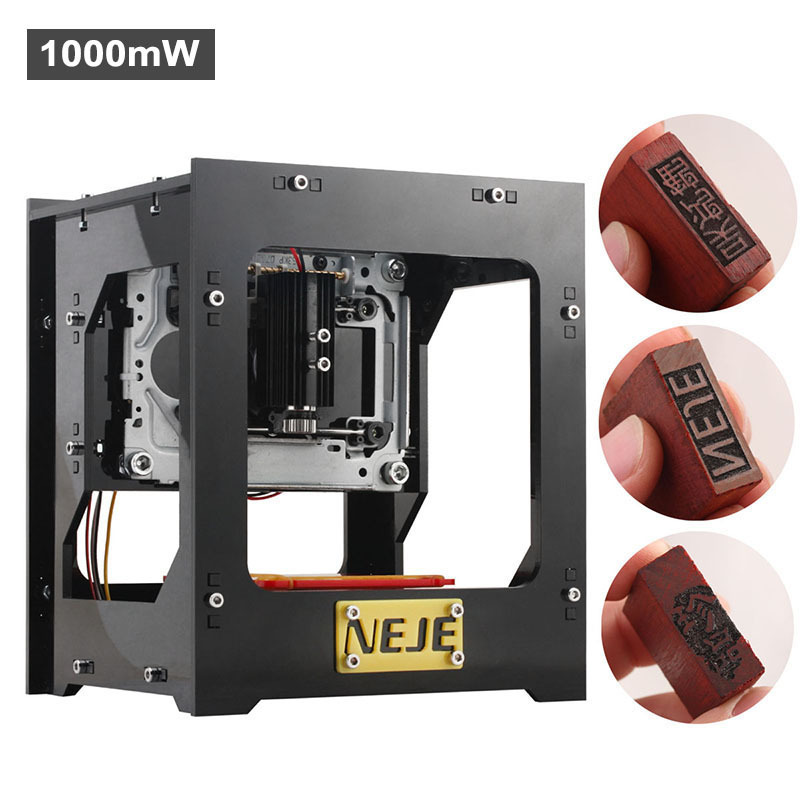 Successfully Added NEJE DK-8-KZ High Speed Laser Engraver - 1000mW, Custom Software Included, Windows Support, 512x512 Resolution to your Shopping Cart. Customize phone cases, tools and other gadgets with the compact DIY high speed mini USB laser engraver — a great tool to keep at home or office for DIY projects. The NEJE DK-8-KZ laser engraver is great for precision engraving on wood, plastic, bamboo, rubber, leather, or to cut paper or foam. You can use it for home DIY projects, customizing accessories like phone cases, jewelry, etc; awards, trophies and more. If you are a maker at heart, like to play around with DIY projects or give truly unique and special gifts, this high speed engraver is just the tool you need. Looking for a one-of-a-kind gift for a loved one — how about a personalized piece of jewelry? Want to create your own accessories – go ahead and try engraving a phone case, belt, sunglasses and more. This portable engraver is super easy to use and you will be ready to get started right out of the box. All you need to do is hook up the engraver to your computer (Windows 7/ 8 / XP/10). Install the dedicated software. Launch the software, choose, import and edit the picture you want to use for your engraving. Make sure that the picture is in the middle of the engrave areas and get going! To prtoect your eyes NEJE DK-8-KZ high speed mini USB laser comes with a set of protective goggles and has everything you ned to get started on your creative journey. The NEJE DK-8-KZ High Speed Mini USB Laser Engraver comes with a 12 months warranty, brought to you by the leader in electronic devices as well as wholesale high speed engravers..
Good for personalising small items. Still practicing, but works well so far. It would be better if it was bigger. Cosa dire di questo Incisore, che al prezzo in cui chinavasion lo offre e da prendere al volo. Un arnese di tipo professionale che chiunque può acquistare a questo prezzo. Io personalmente sono architetto e penso che mi sarà molto utile per diversi utilizzi.